Which one to choose, glass or plastic? The plastic bottle is one-third larger, providing 500 ml of oil versus the glass slightly tinted 375 ml bottle. Both bottles cost the same $18.50. People who dislike plastic packaging still have the glass option. Those who want a better deal get 125 ml more oil in each plastic bottle. 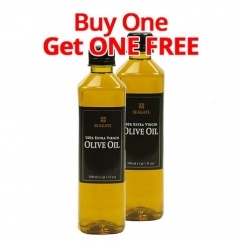 Either way, the olive oil is exactly the same and you get between 50% more oil (glass) and 100% more oil (plastic) than last year, now using our Buy 1 Get 1 free deal on this product. 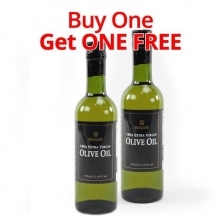 The reason we can give you this savings is because we installed a new high speed olive oil plant from Italy last year which allows us to process over a half ton of olives/hour compared to less than one half ton per day prior to last year. 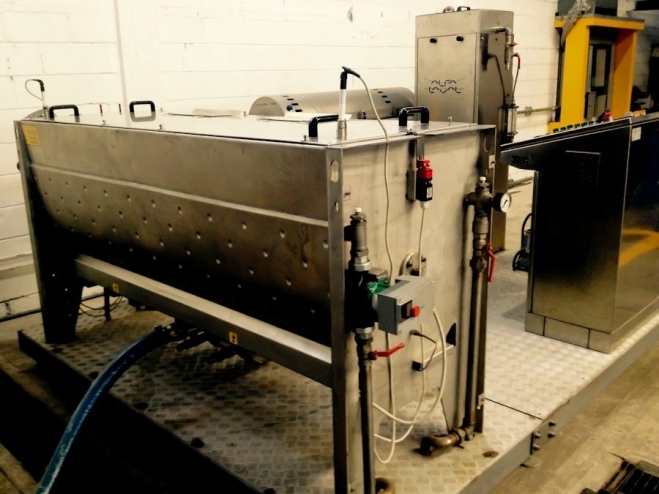 Now that the bugs have been worked out and the equipment is running at full capacity, our cost per unit for producing the olive oil has dropped substantially … and we can pass the savings along to our customers. With either bottle choice, the savings are significant. With this much higher capacity, I now have more time for diving. Here is some of the scenery from the Cayman Islands. If you look closely, you can see small fish in the background. Due to the density of seawater, light from the strobes is only effective when the subject is within 7 feet of the camera. Jan - I am not a fan of plastic. However, being on a tight budget, value is also important to us. Is the oil cold pressed? Does the plastic get warmed or frozen? Pouring the oil from a plastic bottle into a glass bottle when it arrives, does that help keep it pure & safe? The plastic is not warmed or frozen. The oil is perfectly safe in the plastic bottle without pouring it into a glass bottle. However, if you are that concerned about plastic that you would go to the trouble of pouring the oil out of the plastic bottle and into a glass bottle when it arrives at your house, then you should order the glass bottle option rather than plastic. Either way, bot the plastic and the glass are currently on Buy 1 Get 1 free. So you are already getting a good deal whichever option you choose.